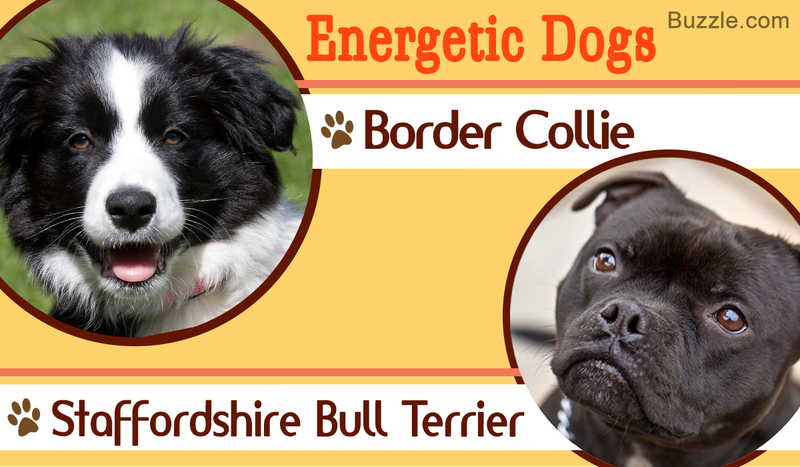 Top 10 Most Energetic Dog Breeds - They'll Surely Tire You Out! If you are a highly energetic and outdoor person, then you need a pet that can complement your energy levels. A canine can make the perfect pet for you, as some dog breeds are highly energetic. DogAppy lists the top 10 most energetic dog breeds for those who love to live an active lifestyle. Research conducted by the Michigan State University found that 60% of people who took their dogs for long walks met the federal criteria for regular, moderate, or vigorous exercise. These people exercised almost 30 minutes everyday, more than people who didn't own dogs. This research was also published in the Journal of Physical Activity and Health. If you prefer a pet who can lie with you on the couch and watch TV for hours, avoid buying the dog breeds mentioned in this article. These dog breeds are full of energy, and make great companions for those who prefer an active lifestyle. Boredom and idleness frustrates them, and they need to be kept engaged in various activities and games. They also serve as great competitors in various dog competitions and pet shows. It is essential for these dogs to channelize their energy on a regular basis, otherwise they can 'Act it Out' in a negative manner. This results in unwanted issues, such as unnecessary barking, chewing, aggression, and various other inappropriate behavior. So, for those who are looking for a great activity buddy, consider one of the following dog breeds. 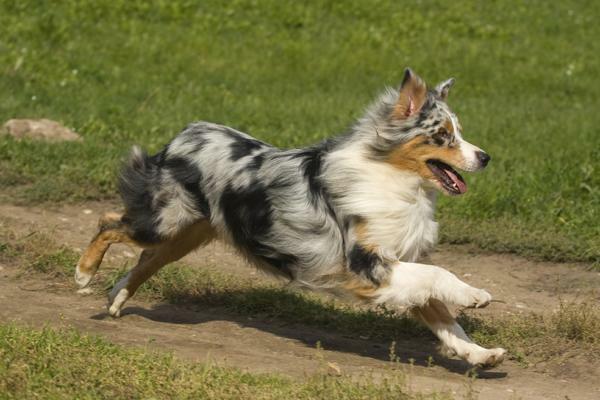 Originally bred to herd cattle, the Australian Shepherd can be a great addition to any family. This dog is a bundle of never-ending energy, who will bring you the morning newspaper, accompany the kids to the school bus, place their belongings in the respective areas, guard the house, and even dig out weeds, if trained well enough. For playtime, you can make them happy by throwing a flying disc or ball, taking a brisk, long walk, hiking, or just jogging for an hour or so. It is highly possible that even these activities won't wear out the Australian Shepherd. Hence, you need to be very creative and energetic to give this dog a great workout. Border Collies are an extremely intelligent breed, primarily designed to herd sheep. Hence, they have a natural inclination to herd everything that comes in their way, including kids, cats, and even cars. Highly energetic, responsive, and easy to train, Border Collies require minimum supervision, and are capable enough to remember orders even when you are out of sight. High energy and intelligence makes them one of the most dominant participants in canine competitions. Their tendency to stare can be quite unnerving sometimes. They gel well with other dogs, but often chase small animals. 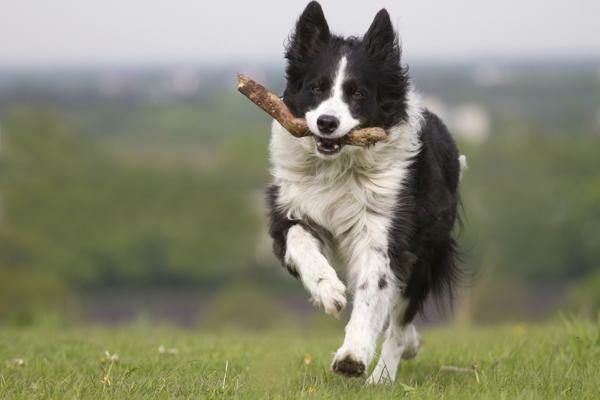 Border Collies require plenty of daily exercise, and if left idle, they develop compulsive behavior, like jumping up and down, chasing shadows, and twirling in circles. The most popular member of the northern dog breeds, Siberian Huskies are beautiful and independent dogs, that live an active lifestyle. Related distantly to the wolf clan, these dogs are primarily sled pullers, but can easily adjust well with families and single dog owners. They have gained mainstream popularity due to the legend of 'Balto', and the Disney movie '8 Below'. These dogs are extremely smart, and easily figure creative ways to escape gates and fences. 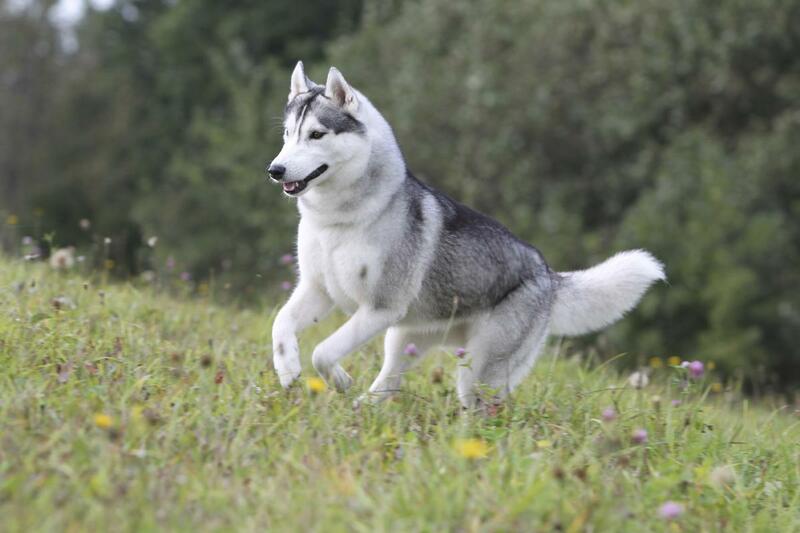 Siberian Huskies love to run, and are known to be aggressive towards unknown dogs. They are extremely social by nature, and thrive on companionship. Nicknamed the 'Gray Ghost' because of their significant gray coat, Weimaraners are hunting dogs originally bred to hunt big and small animals. They are known to be highly intelligent, friendly, curious, attentive, and obedient. 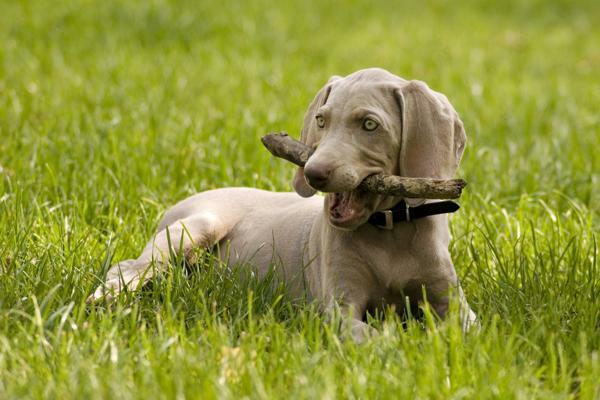 High on energy levels, Weimaraners are the perfect combination of great speed, endurance, stamina, and alertness. They love to run and play, and can become destructive if kept tied for long. Known to be extremely protective about their family, they attack suspicious strangers and even animals. Due to their energized temperament, parents are advised to keep small kids at a distance. This most popular dog breed in North America aren't just great with looks, they are also extremely friendly and loving dogs. 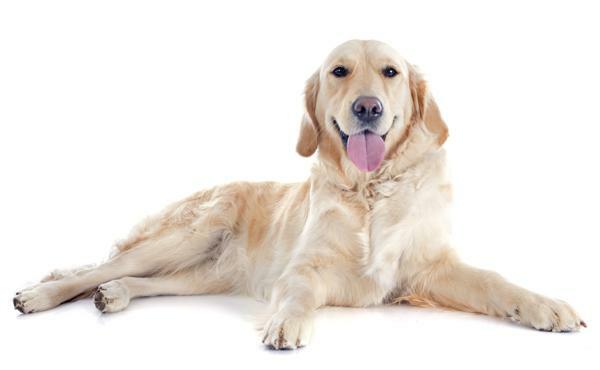 Their gentle nature and tolerance towards people, kids, and other animals make Labrador Retrievers a favorite among dog enthusiasts. Labs are obedient and intelligent, which makes them extremely easy to train. They love to run, and play fetch. Their social demeanor makes them the ideal protector of the household, but they do require a regular dose of exercise to avoid destructive and hyperactive behavior. These cute little dogs are known for digging, barking, and jumping for long periods. Known to be extremely active and adventurous, Jack Russell Terriers are hunters at heart, and like to run whenever they get a chance. They are wired to be active, and need to be involved in some kind of physical and mental activity, if you don't want to witness their destructive side. They act as great watch dogs, and become highly aggressive on suspicion. 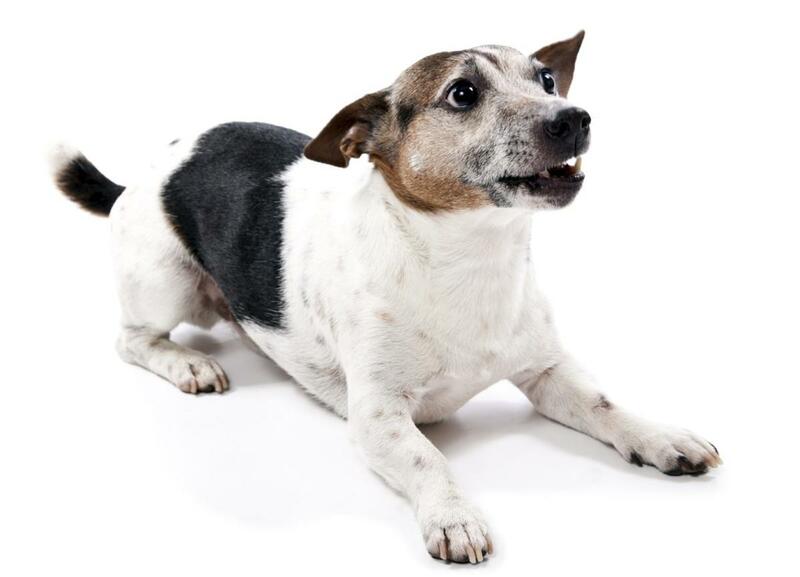 Jack Russell Terriers are great with kids, and with other animals, except cats. Also, they have a tendency to dig, and hence, should not be left unattended for long periods. Don't let the small size of the Min Pin fool you. Originally bred to hunt rats, this small-sized dog possesses energy that very few can handle. 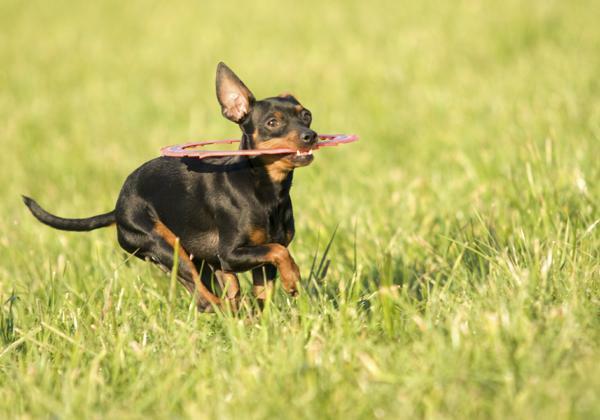 Known to be smart, attentive, alert, and loyal, Miniature Pinschers have a curious nature, and can learn tricks very easily. However, they do have certain Terrier traits, and tend to be aggressive and independent. Due to their hunting background, they chase anything that moves, and hence, should be kept on a leash in public places. They do not socialize well with other dog breeds, and can be extremely aggressive towards strangers. Physical activity is a must, otherwise they can create quite a scene in the house. Dalmatians are cute, athletic dogs with a unique spotting pattern. Over the years, they have been used for hunting, in war, in stage shows, and primarily to run alongside carriages. Their sleek body is built for extended sprints, and hence, Dalmatians can run for miles without stopping. They can prove to be a great companion to any family, if provided with enough exercise. 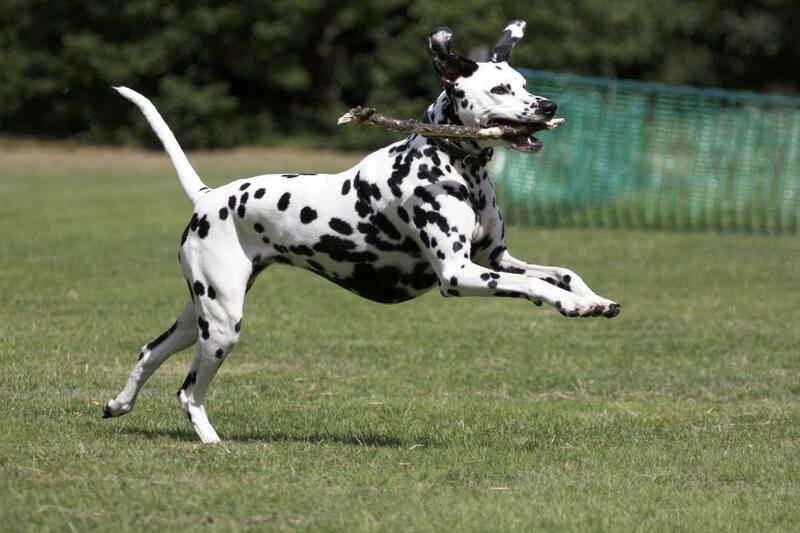 Dalmatians love to run and play fetch. They can get quite defensive around strangers, but mingle well with other pets, especially horses. This breed is extremely sensitive, and can suffer from separation anxiety issues if left alone. Consistent training and patience is the key to keep Dalmatians under control, and hence, they are not the best choice for inexperienced owners. 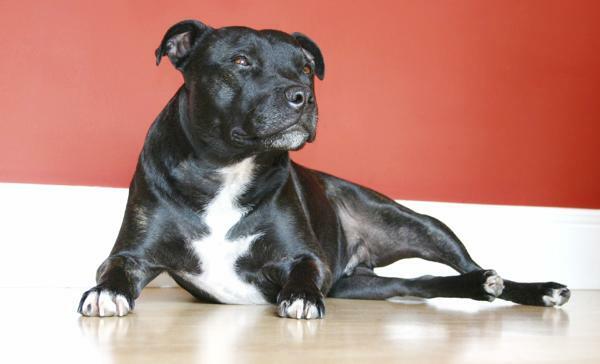 Staffordshire Bull Terriers love playing outdoors with family and friends, and are great companions that usually obey their owner. There are two things that are a must for this small dog - human companionship and physical activity. Being aggressive is not in their nature, but if challenged by other animals, Staffordshire Bull Terriers will not back down. Although they can be a danger to other animals, they are generally quite good with kids. In the US, they are also called 'Nanny Dogs' due to their eagerness to protect young children from danger. A hunting dog with an immense amount of stamina and courage, Pointers can be extremely gentle, and are known to get along with people of all ages. However, they tend to get frustrated easily if not provided with adequate exercise. 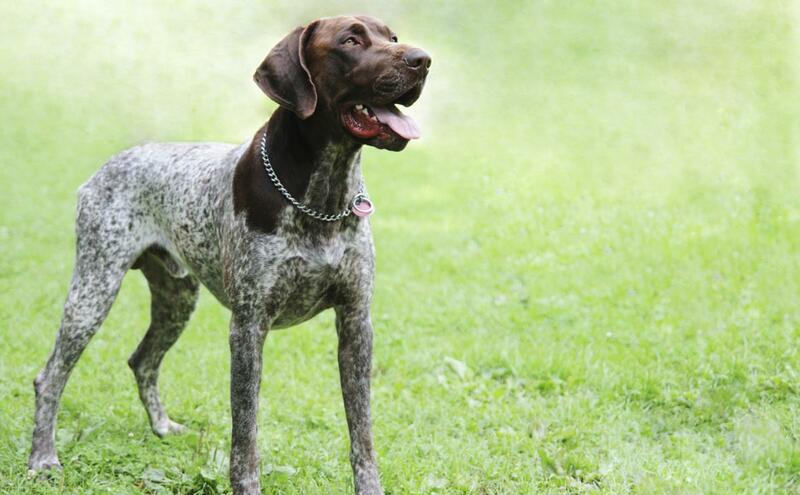 Pointers love to run, and hence, make great jogging companions. They have a habit of chasing birds, and can get easily distracted on seeing one. Due to their high amount of stamina and energy, they can get quite robustious at times, and hence, are not safe around small children. These are a few of the dog breeds who have a reputation of being slightly more active than others. So, which one is your favorite? Do let us know.